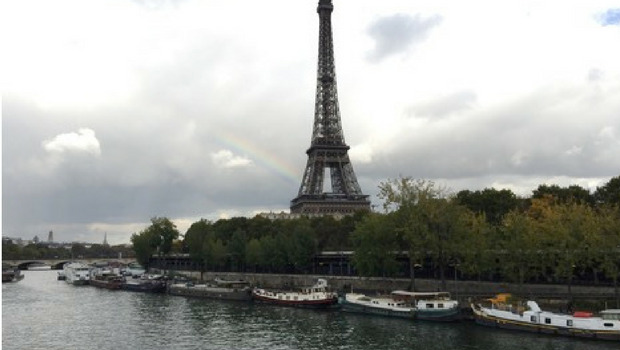 The Eiffel Tower and a rainbow: the perfect Parisian backdrop! 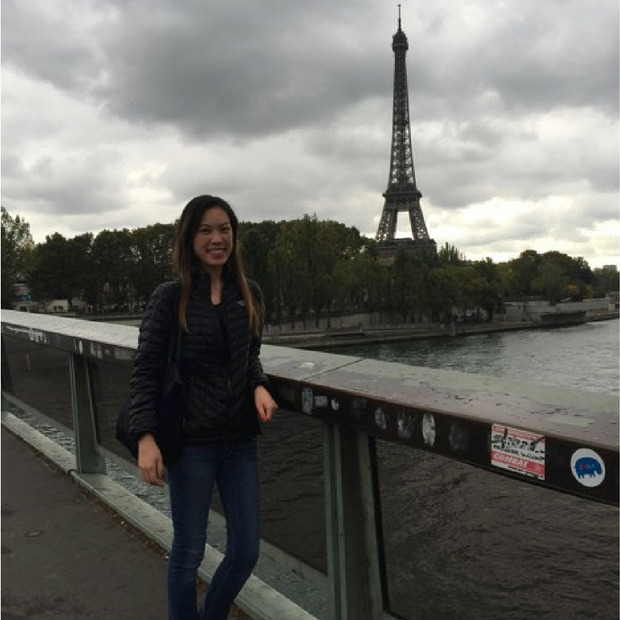 Photo courtesy of Cathy L.
It’s been a week since I landed in Paris for the first time in my life, and the city has already surpassed my expectations. Having studied French language and culture for many years in school, I had high hopes. Friends who have traveled here before warned me that I would be heading toward disappointment. Luckily, everything has been exactly how I’ve imagined it: from the bridges to the sparkling Eiffel Tower, this City of Love is filled with beauty and an air of romance everywhere you go. 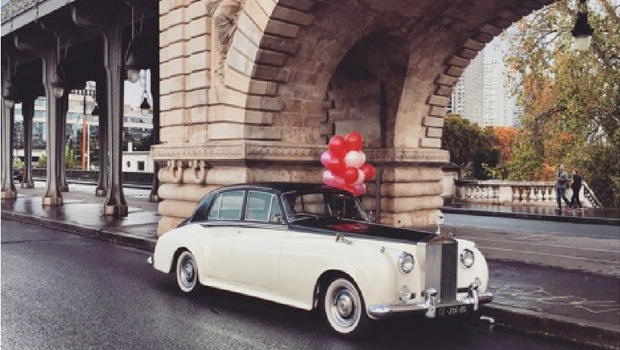 An old-fashioned car on a Parisian Street. My host family on the English Conversation Coach program has been the best host family I could’ve asked for. After a delayed arrival at the airport, I had no problem locating them and felt a warm embrace immediately. Although I had studied French culture before arriving, I forgot that the French greet with kisses on both cheeks. It was quite a funny and awkward moment when I leaned in for a hug and they leaned in for two kisses! When I’m not teaching, my host parents encourage me venture into the city whenever I want. They often tell me to “do as I wish” and treat me like I’m already a member of their family. 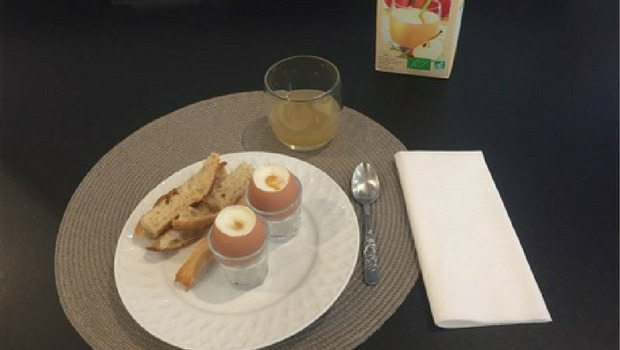 My morning routine includes a typical French breakfast of boiled eggs, baguette (of course), yogurt, and coffee or tea. A typical breakfast in France. My host mom has cooked some amazing dishes. 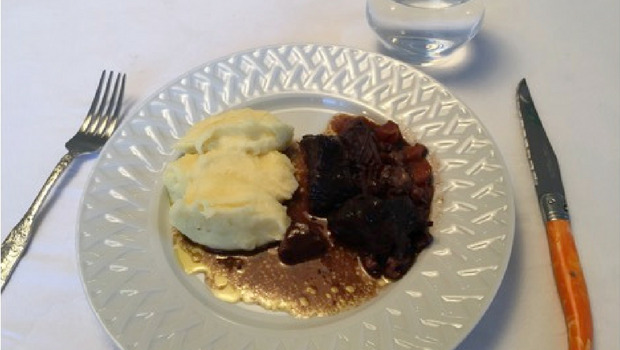 On my second day, she made a brilliant, traditional French slow-cooked beef stew with mashed potatoes that took over three hours to make. 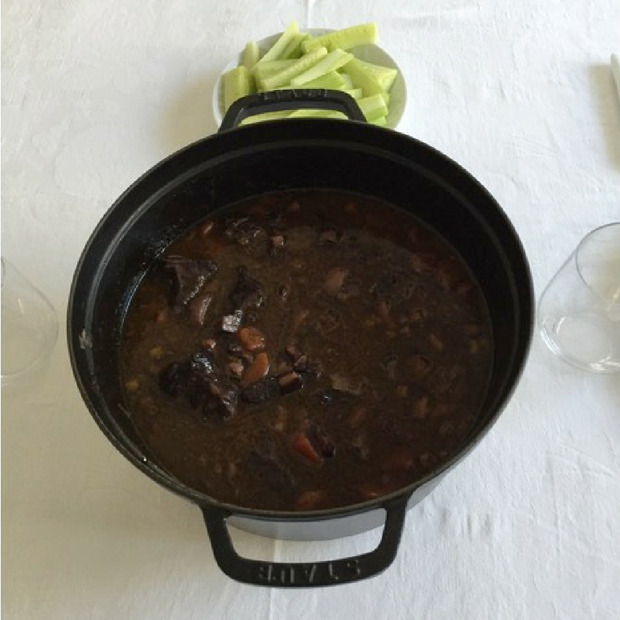 My host mom's delicious, homemade beef stew. While eating out, I’ve noticed some minor differences compared to the U.S. When asking for water, waiters will bring out bottled water. In France, the tap water is safe to drink (and free), but unless you specifically ask for it, they will assume bottled. In addition, their portions are much smaller than in the U.S. Taking leftovers home is a huge faux pas in France. My host mom explained that you may ask for a box, but it’s usually looked down upon and rare that people ask for one. The traditional French portion size. I live in the town of Chatou, a very charming suburb west of Paris, and I quickly learned how to use the subway system to get into the city. 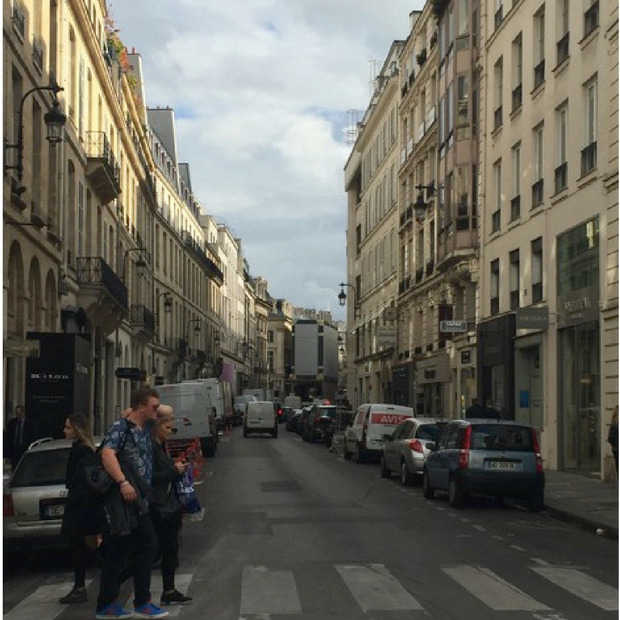 There are hundreds of stops all over Paris and the metro is the easiest way to get around. The Velib, or bike system, is also very convenient and you can bike around the entire city for only one euro a day! Afternoon on a Parisian street. I’ve spent most of my time walking around Paris, though. 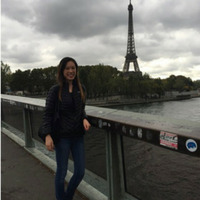 You may have heard that Paris is a “walking city.” Although Google Maps may warn you that it takes an hour to walk to the Eiffel Tower, I think exploring on foot is far more enjoyable than simply hopping on and off the metro. If you have the time, walking is the way to go because you will discover hidden gems around Paris you may have never known existed! One of my favorite places I’ve found is a bridge far away from the tourist-crowded areas. It’s here that I discovered my favorite place to view the Eiffel Tower, as it is very peaceful and calm, without anyone around. I'm thoroughly enjoying my time so far and I still have many more places to see and experience! Paris is divided into arrondissements (administrative districts) that are all different from one another. I decided early on in my trip to spend as much time in one district before moving onto another, so that in the end I can feel like I know the city inside and out. Paris is slowly becoming my favorite city in the world and I can’t wait for more experiences to come! Cathy is a participant on InterExchange's Conversation Coach France program.